1. Dong Hoi City, April 2018. The peaceful riverside city of Dong Hoi is the capital of Quang Binh Province. 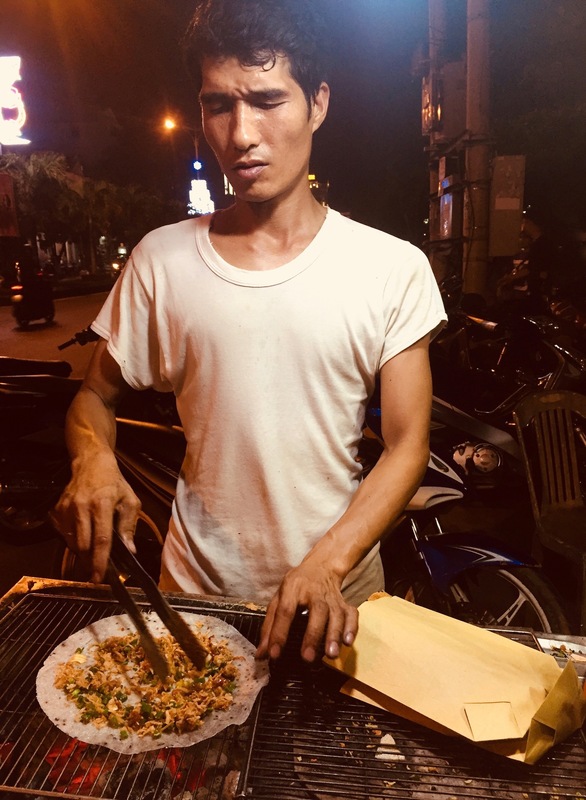 Hugging the north central coastline of Vietnam, there are around twelve kilometers of beaches extending out from the city centre, which makes it all the more surprising just how far off the tourist trail Dong Hoi seems to be. Taking an afternoon walk through the city’s river promenade and park, I found the place deserted, with barely a fisherman in sight. After my action-packed days in Hanoi and Halong Bay, this was just what I needed! 2. Dong Hoi City, April 2018. It’s hard to imagine that Dong Hoi was once the sight of near total destruction during The Vietnam War. 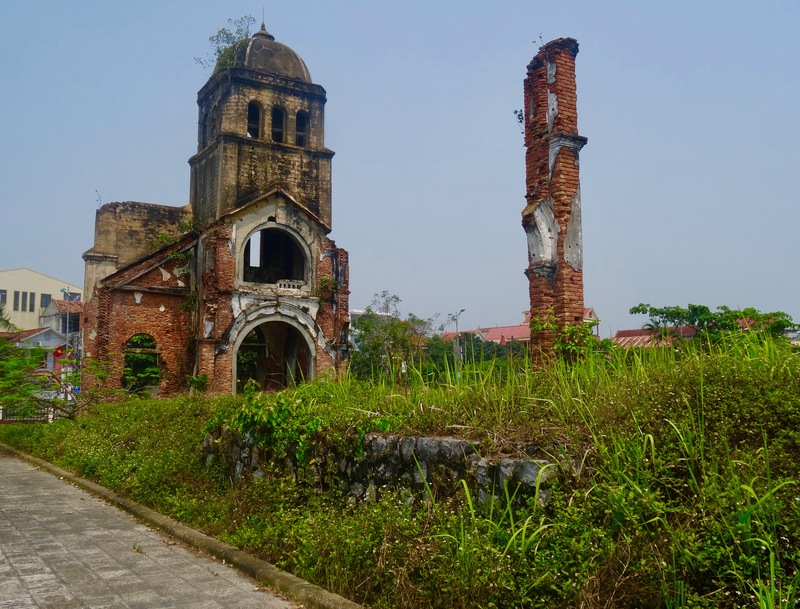 One inescapable remnant of those past days is the crumbled ruins of Tam Toa Catholic Church which, like so much of the city, fell victim to the infamous American bombing of 1952. As the story goes, the church was just one of four things left standing, alongside the water tower, a city gate and the world’s most resilient palm tree! 3. Dong Hoi City, April 2018. Dong Hoi doesn’t feel like a city. Traffic is minimal and the beaches are quiet, even during what was supposed to be the city’s annual seafood festival. 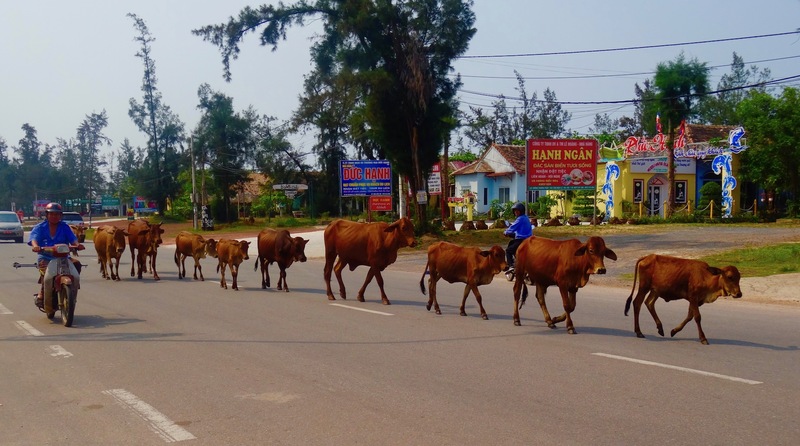 And it’s not uncommon to come across herds of wandering cattle in the road, seemingly oblivious to the cars and bikes trying to weave around them. 4. Dong Hoi City, April 2018. The city considerably livens up at night with a food market set around the promenade’s main square. There are plenty of local dishes to try for a matter of mere pennies. My favorite was this pancake filled with meat shavings and chopped vegetables. A drizzle of sweet chili sauce tops it all off nicely. It was really tasty and came with a choice of beef or pork! 5. Dong Hoi City, April 2018. 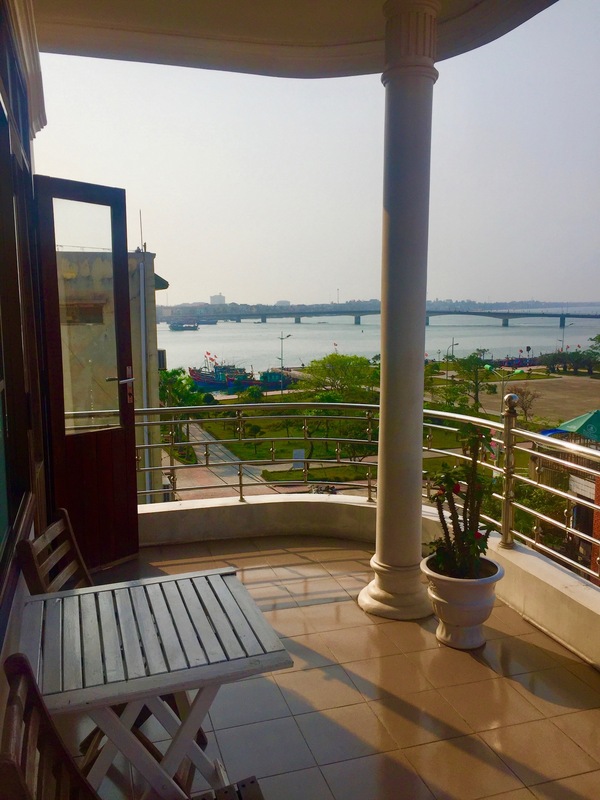 If you decide to stay a few nights in Dong Hoi… and you should… look no further than the excellent Nam Long Hotel, with its perfect location just steps from the promenade square. Rooms are spacious, clean and the air con works a treat! 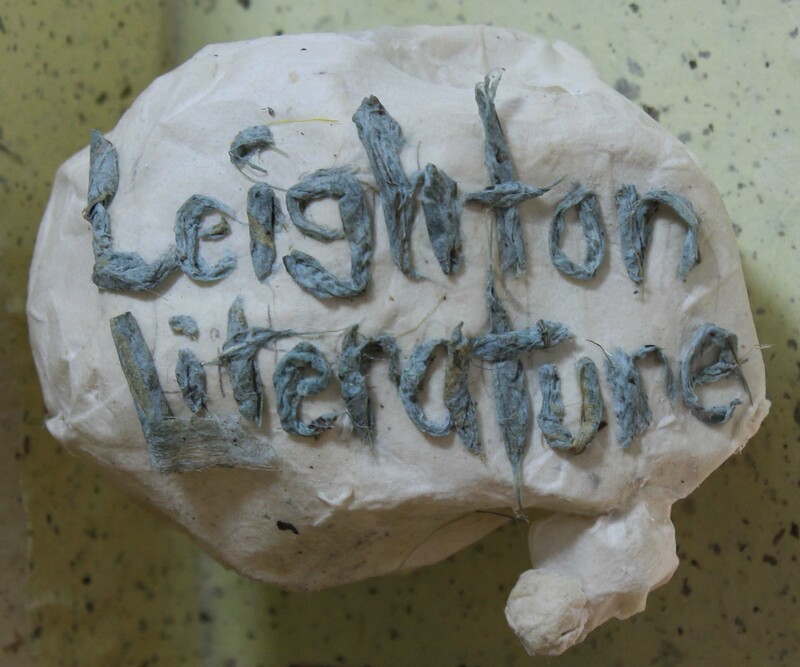 A huge tip: Book ahead and secure room 301. It has a stunning balcony overlooking the square and is priced the same as their other doubles. After a day’s exploring it was simply magical to settle here and watch the sun go down with a beer. They’ll even serve dinner right to your balcony table at no extra cost. Nam Long is also a reliable tour operator for getting out to both Paradise and Phong Nha Caves. My 5: Monkey Island – Halong Bay, Vietnam.